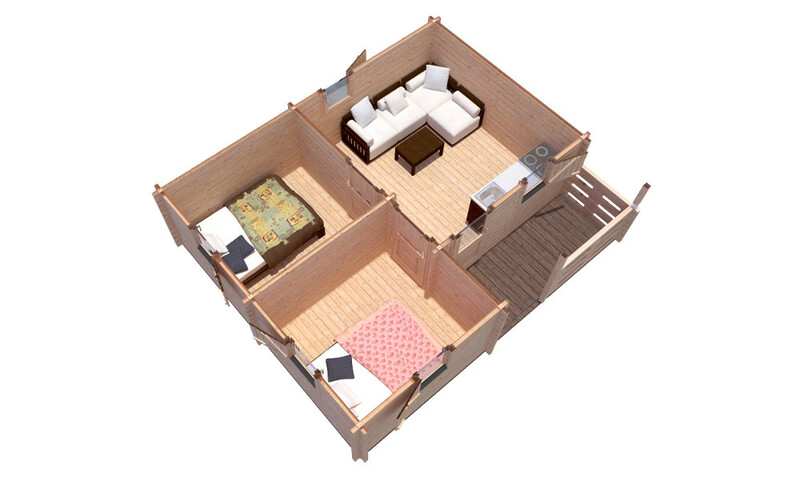 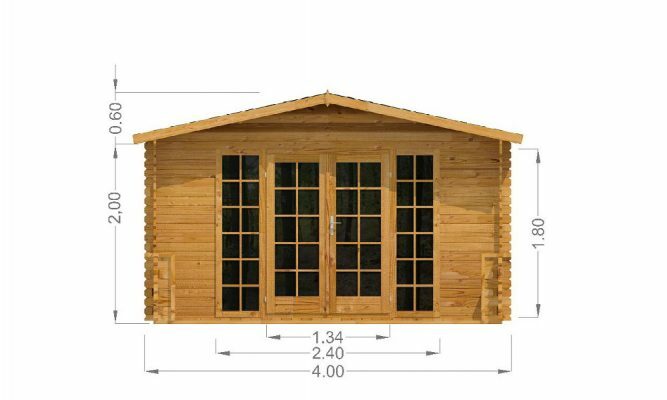 The Veronica cabin features multiple rooms and a covered porch area. 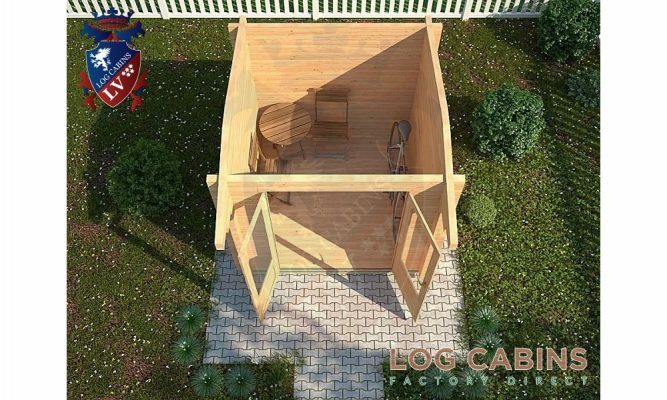 This log cabin would make a great mixed use outdoor building, one room could be used as a playroom, another an office or extra storage. 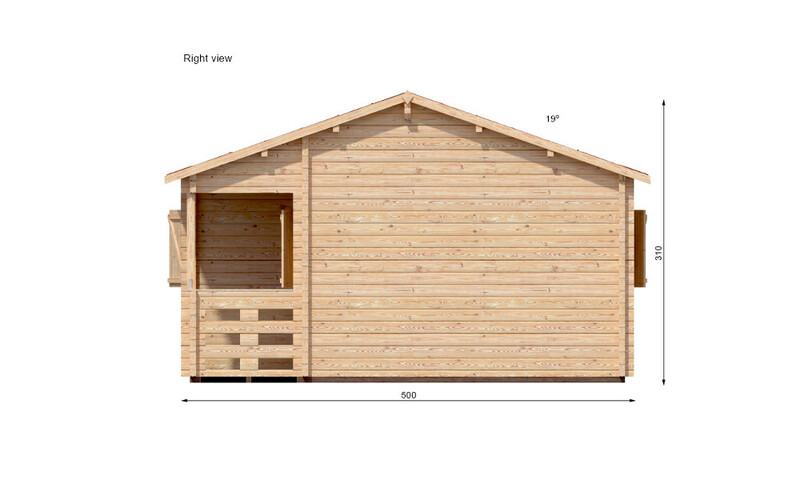 With 68mm logs this building benefits from the natural insulating properties of timber. 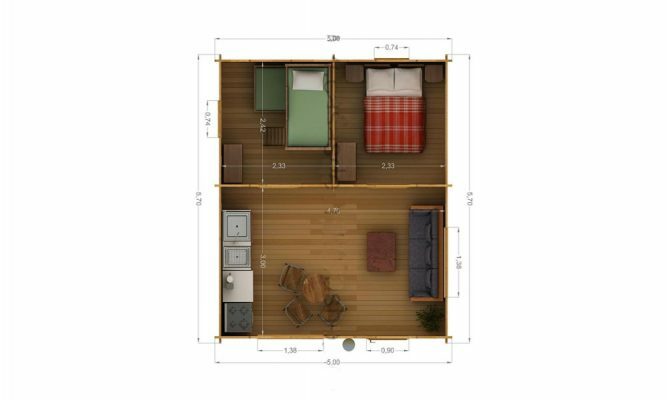 The 28mm floors mean they are nice and strong for all types of heavy equipment, such as a multi gym. 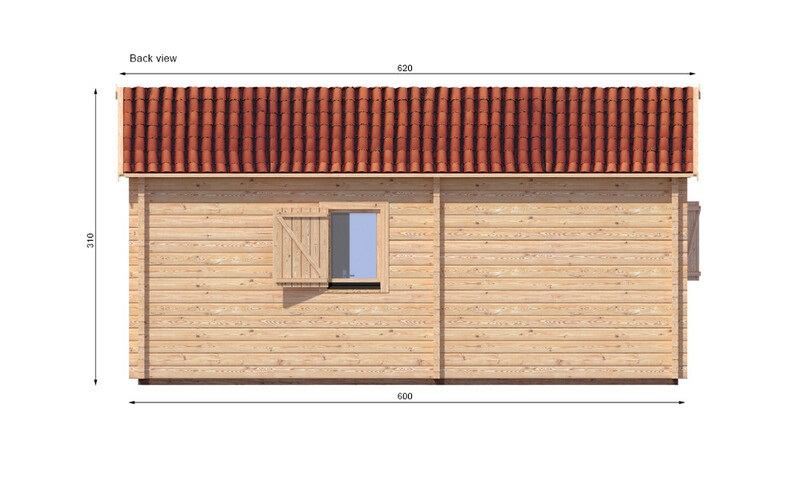 4 double glazed tilt & turn windows. 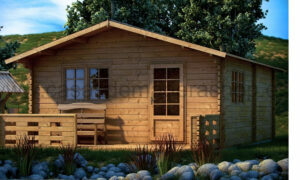 1 free five litre tin of wood preserver. 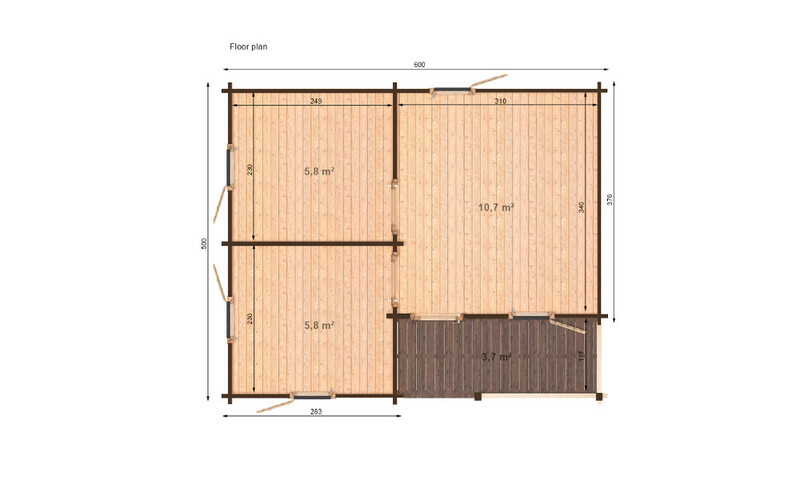 Dividing walls to create three rooms total. 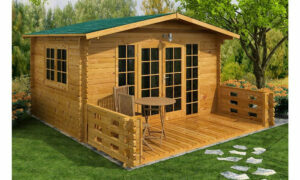 Includes veranda with treated decking boards. 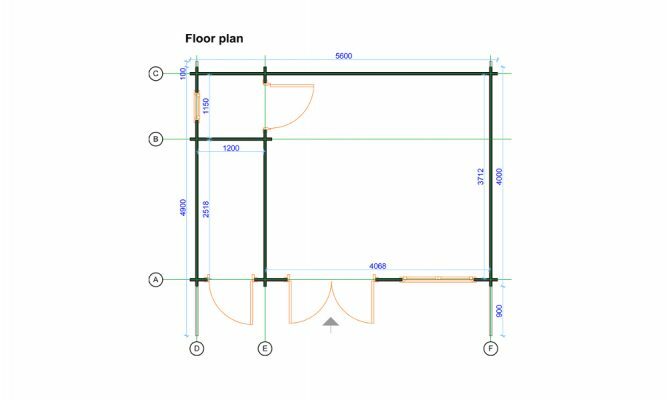 Wall profile: 68mm computer cut. 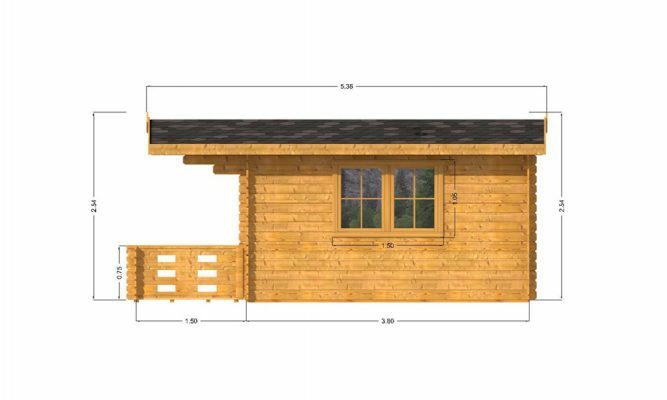 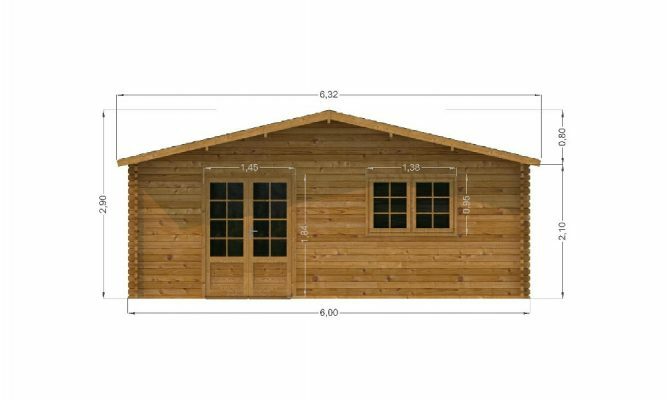 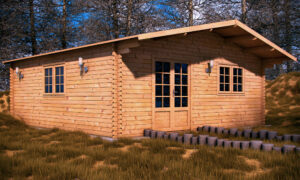 We offer free delivery on our log cabins in Sussex, Kent, Surrey and London. 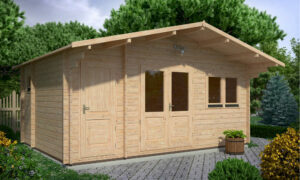 Parts of Essex, Hampshire, Hertfordshire, Bedfordshire and Buckinghamshire are covered. 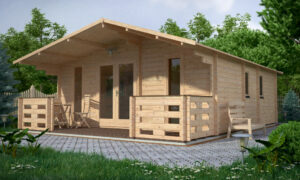 This includes towns such as Colchester, Burgess Hill, Margate and Canterbury. 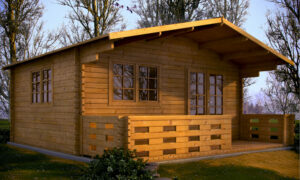 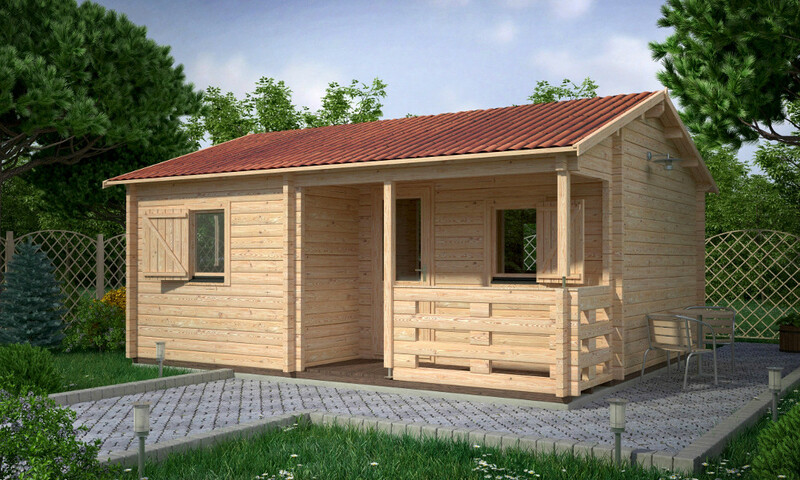 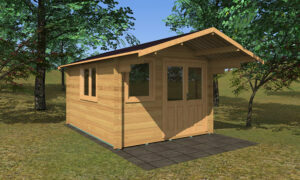 Our log cabin installation and base laying services also cover this complete area. 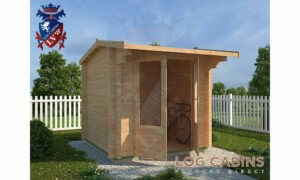 If you can’t find your town on our delivery map, please do not hesitate to contact us. 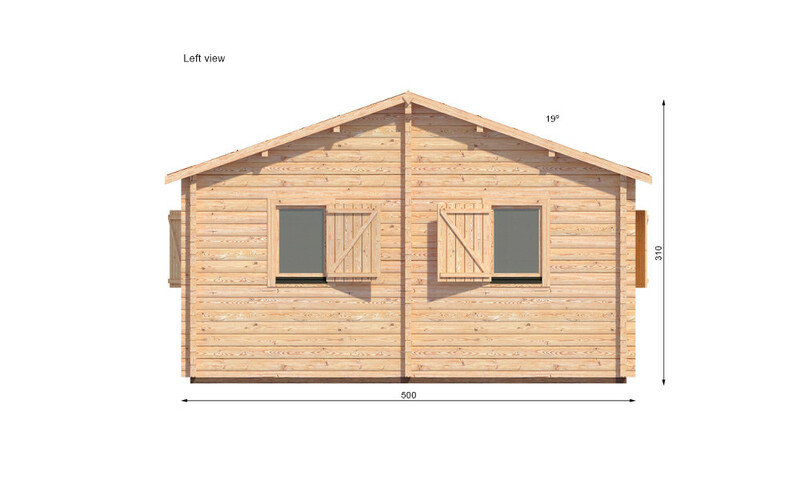 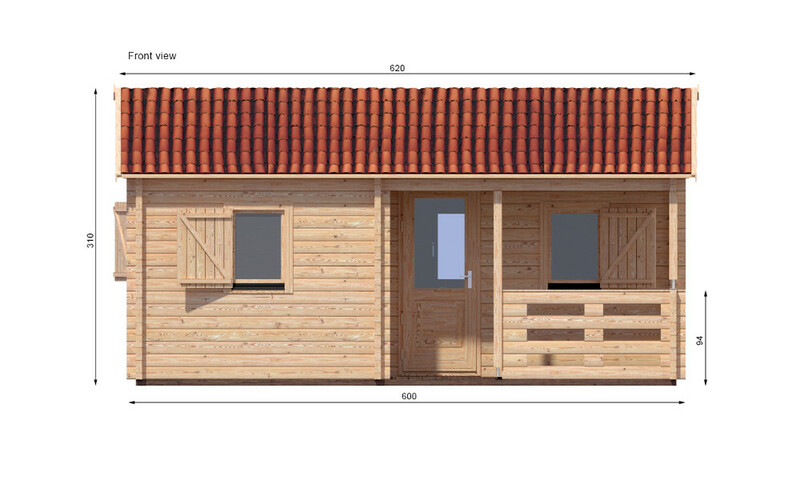 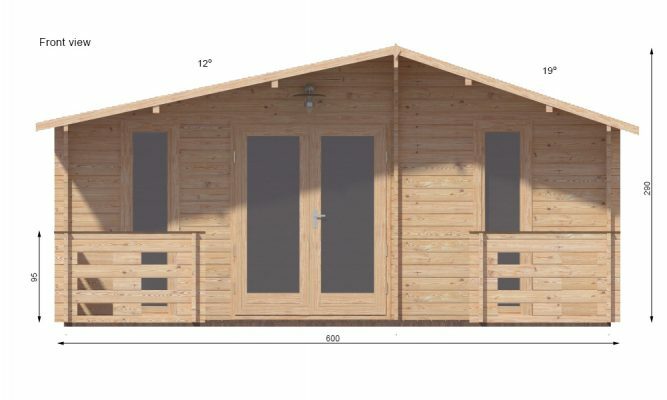 Please note that our cabins are delivered on a 37′ (11m) long; 9′ (2.7m) wide & 12’6″ (3.8m) tall lorry with a HiAB crane. 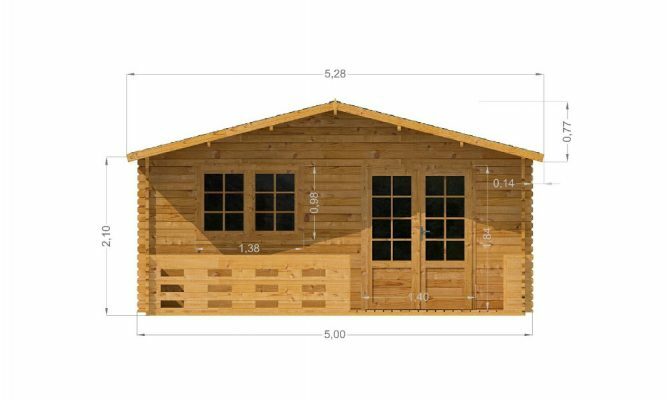 Ensure that access to your property is adequate for this before placing an order and be mindful that overhead cables will prevent us from making a delivery.